We talk with Glyn Jones about his new book, The Peg and the Pumice Stone. 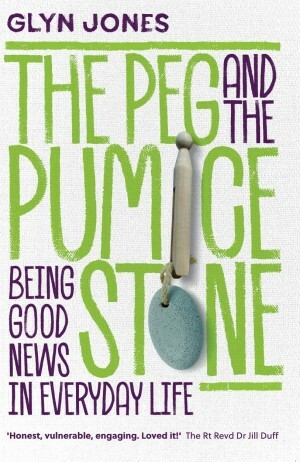 Right off the bat, what is behind the title of your new book The Peg and the Pumice Stone? It’s a reference to one of the stories and some of the random objects that play a role. A friend, called Cat and I were in Liverpool and we dared each other to use the objects to share about God. I got the pumice stone and she got the peg – what happened is in chapter 9. Was it written for anyone in particular? This book is about debunking the myth that sharing the good news of Jesus is weird or the domain of a select group of gifted people. It’s a collection of easy-read, true-life stories that should help you find your natural way of being an authentic witness in your everyday life. It’s meant to be a read in a couple of hours book so probably for busy people. What do you hope people get from The Peg and Pumice Stone? Encouraged – for me, evangelism is a bit of a taboo or its considered something that is organised and event-driven, While that is often true, it removes it from the everyday and so it loses its place in the ordinary person’s life. The results is that it is either ignored or becomes laden with guilt and awkwardness. What started you on the journey of writing this book? Storytelling in church - I wondered how it would translate to paper so this is a bit on an experiment. I preach in a ‘stand-up’ style and try to weave a story around a simple theme. Some friend said why don’t you give writing a go, so this is the result. What does your day look like as an evangelist? A mix of admin, lecturing and meeting random people and feeling both blessed and out of my depth. Today I met a friend just out of rehab, did a job interview and wrote some bits for our new Bachelor of Arts in Theology Mission and Evangelism. My day probably looks the same as anyone in a similar job, but I have a small wooden holding cross in my pocket and I’m off to Tesco later for a bottle of booze so anything could happen! Why did you choose these twelve stories in particular? I have loads and loads of stories and I keep a short diary of - these are just some of the earliest ones. I didn’t want to write too much because I wanted the book to be a quick and easy read. What do you hope people will learn about evangelism? That it looks different for every single person – there is no one-size-fits-all. Also, I believe that every Christian at whatever stage and place they are is a pot of good news waiting to happen. What other books would you recommend for someone after finishing The Peg and Pumice Stone? Tony Campolo is one of my favourites and inspirations. Do you have plans for any more books on the horizon? Yes, I would like to write my own story and maybe a sequel to the Pumice stone. I have been described as Storyteller and Everyday Evangelist. I also co-lead The Light Project with my friends and soul-mates, Chris Duffett and Gaz Thomas. Together, our vision is to train, connect and resource pioneers to make countless disciples of Jesus. We do this by delivering undergraduate degree programmes in Theology Mission and Evangelism. As a lecturer and minister, I regularly lead groups out in mission and evangelism and take part in official evangelism. However, the part of my life which has the biggest impact is what I would call ‘everyday evangelism’ - This is a book about that. Rather than setting out a grand formula, these stories consider the small changes that we can all make in our lifestyles which lend themselves to becoming missional and good news people. The extent of the kingdom of heaven in our lives can be seen in the small habits and decisions we make in our everyday lives. Changing our habits is something we do all the time: wake up earlier, eat more healthily, drink less and so on – all habits that we adjust daily by making small decisions based on intention. Small intentions like carrying an object with you each day as a gift to offer someone, deciding to pay for a stranger’s coffee, or leaving a prayer on the bus are small intentions that change your life, change other people’s lives and reveal the extent of the kingdom of God. Each day I take three objects out with me: my phone, my keys and my wallet. When I forget one of these, it soon becomes apparent and I become unable to function as planned that day. I can’t get in the car, can’t pay for my drink and then come home to a list of irate texts asking why I am not answering my phone. A while back, I decided that I would add an extra essential object to my list. Packing a little wooden cross, a battered metal heart or a pocket Bible would be part of my new daily routine and, if the occasion arose, I would give it away. So that’s what I do. As a result of this little habit, hundreds of people in shops, parks, hospitals and trains have been reminded of God’s love for them. I constantly meet people in and around the town where I live who still keep with them the reminder I gave them and when I see them, they show me. It’s often a reminder to me to pray for them and of the relationships that build on such gestures of faith. I have also noticed that when a group of friends, colleagues or a church develop this simple habit, the hundreds become thousands, and the extent of the kingdom of God spreads like a virus in our society. Developing a culture of challenge, fun and simplicity will bring life back to the routine of any group of people. 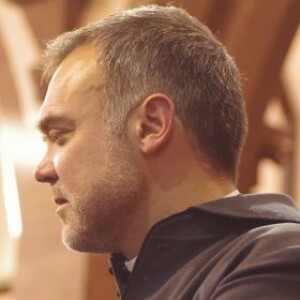 St David, the Welsh Celtic saint, is reported to have said in some of his last words to his monks: ‘Do the little things, the small things that you have heard and seen me do.’ Somebody else once said that if you are not planning to do something, you are planning not to do it, and there is truth in this. So why not try a little thing. Start small. Look at what you carry around each day and plan to take something extra with you: a small reminder or a gift for a friend or a stranger. God occasionally works through our grand designs to change people’s lives, but He continually responds to our small steps. This is because they are rooted in something powerful. That something is called faith.